Here's a type of puzzle that I really like, Packing Puzzles. Easy to understand, but a real challenge to solve them. Some require more trial and error than others, but the best ones are those that need planning, to think what to do before placing any piece on the frame - not mindless random packing. 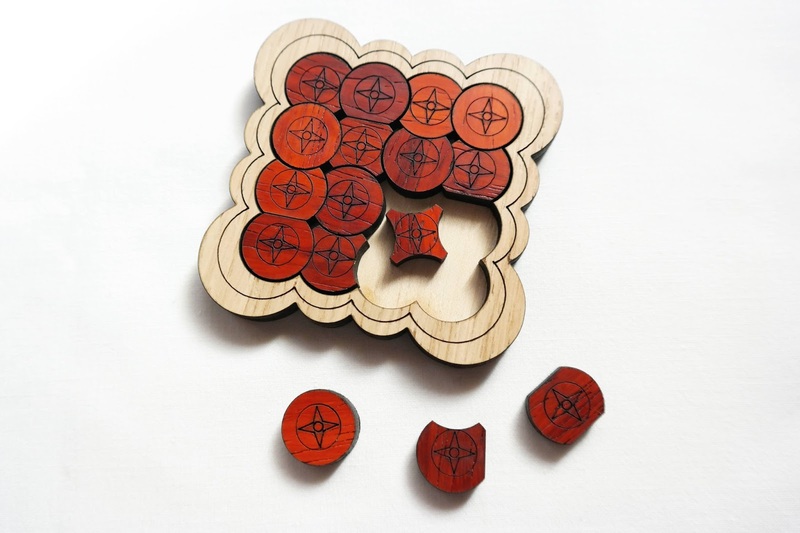 Siebenstein-Spiele's Circles is a puzzle that puts an emphasis on planning, as you try to pack all 16 circles (or parts of a circle) inside the square frame. The pieces fit neatly and tight on a 4x4 grid, giving the impression that many circles are overlapping others. Only three of the sixteen pieces are actual complete circles, while the remaining are different configurations of circle cross-sections, either concave or straight or a mixture of both. The puzzle is quite small, measuring only 8cm x 8cm (3.15"). I would prefer a bigger puzzle, so the pieces don't feel so small in your hands, but it's still manageable. 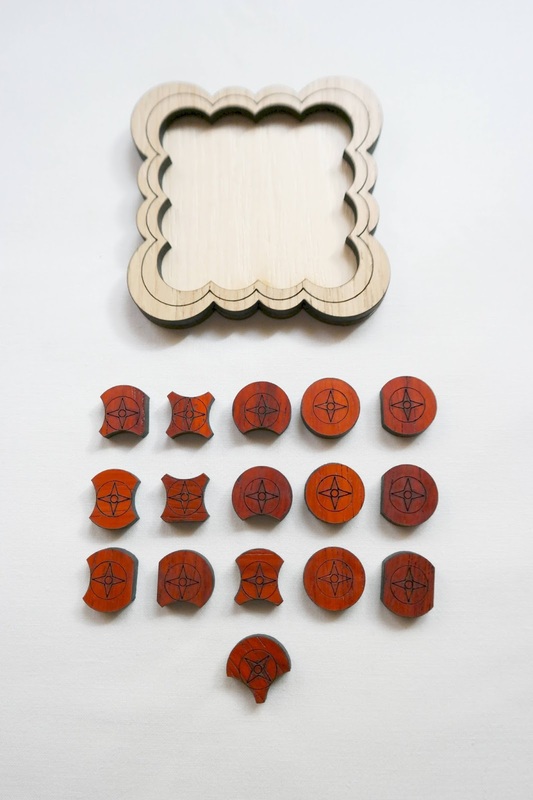 The wood used is just laser-cut wood, so to couple with its small size you have a very light puzzle. Two contrasting wood shades are used, which is always nice in a packing puzzle - or any other puzzle, for that matter. The concept of this puzzle is not new, however. Jürgen Reiche, the designer and founder of the company, already has a similar puzzle named Euro Krisis. The difference here is that the Circles puzzle is not so chaotic, because the pieces are arranged in a regular shape, whereas the Euro Krisis had a circle frame, which meant the solution was more unpredictable...and harder. The Circles puzzle has a difficulty level of 4/7 (as rated by the manufacturer), and I completely agree. It's challenging, and sometimes frustrating, especially when you are down to the last couple of pieces and none of them fit. But nevertheless, it's not as difficult as other packing puzzles from Siebenstein. I take it for its difficulty level that it must have other possible solutions, otherwise it would be much harder to solve. I would highly recommend the Circles puzzle if you can't get enough of packing puzzles, and Siebenstein-Spiele. This is a thoroughly enjoyable puzzle and, given its size, the positive thing is that you can take it with you anywhere. Definitely worth a try. 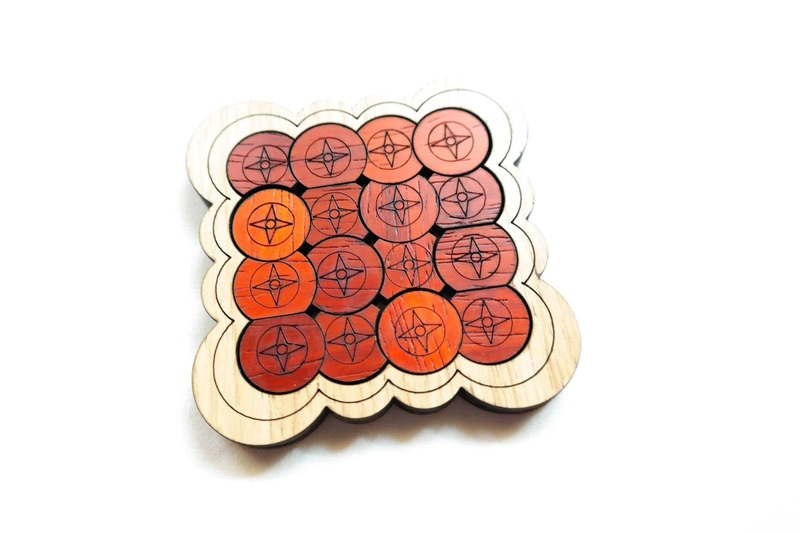 Availability: You can find the Circles puzzle at Brilliant Puzzles for just $15.95 USD. 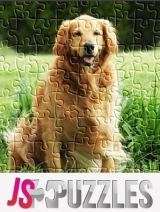 Check out some other great puzzles from Siebenstein-Spiele.